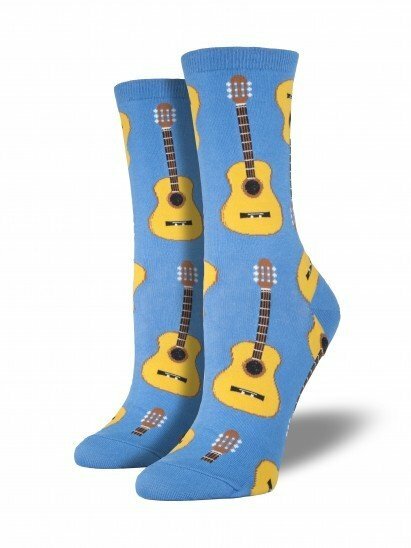 Channel your inner musician with our women's acoustic guitar print socks. 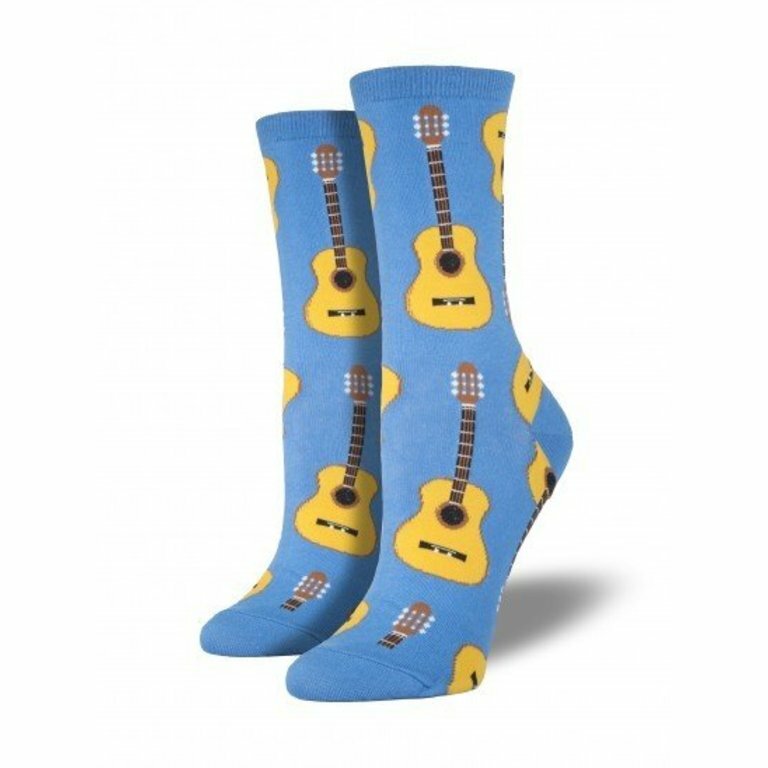 Available in blue for mellow moods or electric green and magenta for when you're feeling funky; just slip a pair of these babies on and let the inspiration flow! Constructed of nylon, cotton and lycra for a soft, comfortable feel.